TORONTO, October 27, 2015 /CNW/ - Store front leasing rates are skyrocketing, companies want innovative methods of selling items and consumers want convenience, speed and personalized purchases. Thanks to BMC Universal Technologies Inc. and its new Media Kiosk all these problems are solved. Taking a huge leap from the company's legacy products, the iconic, cherry red Beaver gumball machines, the Media Kiosk provides an interactive buying experience with state-of-the-art, patent pending features including: consumers' ability to have complete control over their selection and quantity of snack items dispensed in a hygienically sealed bag stamped with nutritional information; multiple payment options; a 65" HD screen featuring retailer or Brand advertising; and, exclusive software that instantly captures critical consumer data such as facial response as well as approximate age and demographic. The BMC Media Kiosk technology also allows remote handling of product management, digital advertising and branding requirements. 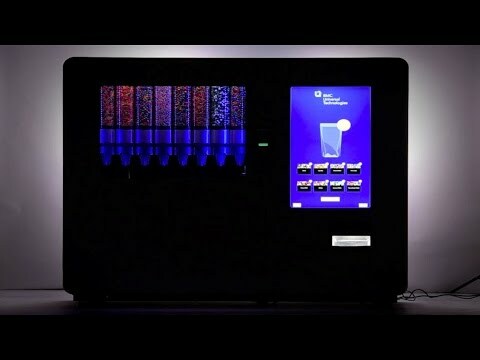 "This is not my granddad's bubble gum machine," notes Robert Schwarzli, VP, Product Development, referencing Beaver Machine founder Josef Schwarzli, who launched the Canadian company in 1963. "In fact, the software we have integrated into our Media Kiosk is somewhat like Google Analytics. It provides the Media Kiosk owner with information on the approximate age and demeanor of its consumers, as well as gender and attention span. The data is anonymous and used to cater the right product to the right consumer." Currently, the Media Kiosk dispenses up to eight different loose bulk items. However, the BMC engineering team can accommodate the dispensing of many different items. "We've always been the leaders of innovative products within our industry," explains Bernie Schwarzli, CEO. "And, we've always been in the business of providing customer delight. What we've added with the launch of the Media Kiosk is the ability to help Brands grow market share without the need for costly store fronts and staff, as well as providing timely metrics on who is purchasing their products. This is unprecedented and a huge benefit in a highly competitive marketplace." The Media Kiosk can also be programmed to complement a Brand's Omni-Channel efforts. Omni-Channel, the newest buzz in marketing, puts the customer at the center of its strategy. It recognizes that mobile and social media have enabled customers to not only quickly switch between channels, but actually use channels simultaneously. This includes checking out product reviews on their mobile phone while evaluating a product on a physical retail store shelf. Omni-Channel marketing ensures customers receive personalized conversations with Brands, and helps Brands measure the effectiveness of ad campaigns. First-time users of the Media Kiosk, during test runs in local malls, have been excited and thrilled with the interactive experience. All ages, even hard-to-impress, tech-savvy teenagers, were observed laughing both during and after the purchase process. "Every interaction and every connection with technology provides a breadcrumb trail – little tidbits of knowledge, of evidence. Every trace of data has the potential to revolutionize the way customers and businesses interact. That's what we'll help companies accomplish with our Media Kiosk," adds Bernie Schwarzli. 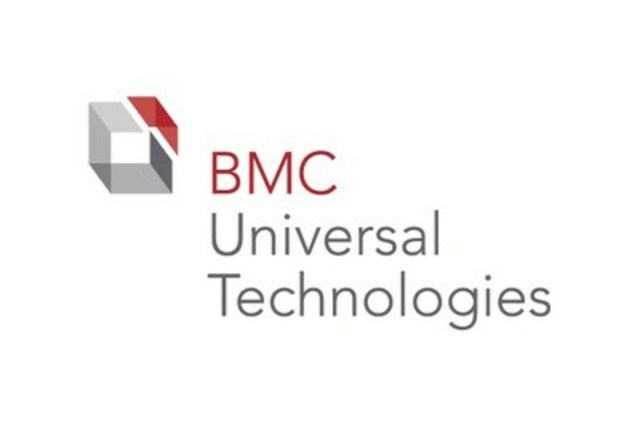 About BMC Universal Technologies Inc.
Leveraging parent company Beaver Machine's reputation as an industry leader, with 50 years' experience and sales to more than 100 countries worldwide, BMC Universal Technologies is set to change the retail landscape with the launch of its Media Kiosk. A family-owned company, it designs and manufactures the ultimate marketing and retail machine of the future to serve today's customers. SOURCE BMC Universal Technologies Inc.